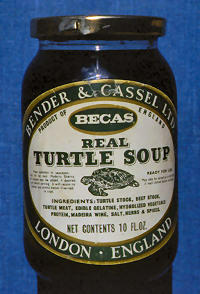 Sea turtle products have been traded internationally for centuries. 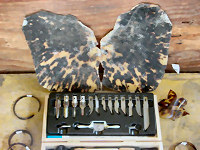 Most sea turtle parts are of potential domestic or commercial value – the shell can be used for jewelry, ornamentation, and utility (e.g., carved into fish-hooks); the skin of the flippers and neck can be tanned and used for leather articles; the meat and eggs are consumed; the offal, calipee, and bones form the basis of turtle soup; the oil is used medicinally, as a lubricant, and as a cosmetic base. Turtles are also stuffed whole as curios. The most infamous Caribbean trade routes involved such enormous numbers of green turtles (for meat, mainly to England) and hawksbill turtles (for shell, mainly to Japan) that some of the largest nesting aggregations in the world were decimated. Smaller regional-scale trade in meat, eggs, and oil and other products is also implicated in localized population declines in Caribbean green turtles, hawksbills, and leatherbacks. In the Pacific basin, the skins of millions of olive ridley turtles were tanned and manufactured into leather goods over the course of the twentieth century. The Convention on International Trade in Endangered Species (CITES) came into force in 1975 to protect plant and animal species from unsustainable levels of international commercial trade. The treaty established a system of import and export controls that pertain not only to whole animals, but also to any recognizable parts, products, or derivatives. Appendix I lists threatened species (including all sea turtle species) for which international commercial trade is, with few exceptions, prohibited. 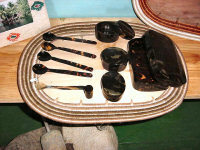 WIDECAST has been closely involved in recent campaigns to identify, monitor, and reduce stockpiles of tortoiseshell (hawksbill sea turtle shell) in the Dominican Republic, and to train wildlife enforcement officers and implement certification programs for craft vendors in Costa Rica that once carried large tortoiseshell inventories smuggled from Nicaragua. 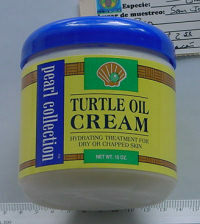 Regional successes such as these, coupled with strong global campaigns by WWF, TRAFFIC, IFAW, Humane Society International, and other advocacy organizations, have significantly reduced the sea turtle trade volume to the point where, with very few exceptions, no significant trade has been reported from Caribbean countries in more than a decade. 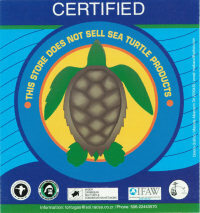 Do not buy or sell crafts, gift items, meals or beverages made from sea turtles. Report violations to local law enforcement officers. 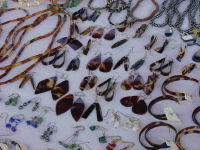 Promote alternatives – seek out sustainable craft and gift choices (e.g., Caribbean spice blends, organic chocolate, batik, pottery, jewelry made from recycled glass or coconut shell, carvings utilizing salvage wood) when you travel. Share your knowledge with friends and family. Spread the word! Carr, A. 1955. The Windward Road: Adventures of a Naturalist on Remote Caribbean Shores. 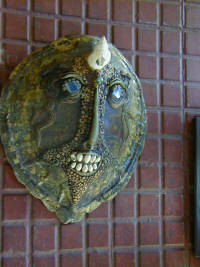 The Florida State University Press, Tallahassee. 258 pp. Groombridge, B. and R. Luxmoore. 1989. The Green Turtle and Hawksbill (Reptilia: Cheloniidae): World Status, Exploitation and Trade. Secretariat of the Convention on International Trade in Endangered Species of Wild Fauna and Flora (CITES). Lausanne, Switzerland. 601 pp. Frazier, J. 2003. Prehistoric and ancient historic interactions between humans and marine turtles. Pp.1-38. In: P.L. Lutz, J.A. Music and J. Wyneken (Editors), The Biology of Sea Turtles, Volume II. CRC Press, Boca Raton, Florida. King, F.W. 1982. Historical review of the decline of the green turtle and the hawksbill. Pp. 183–188. In: K.A.Bjorndal (Editor), The Biology and Conservation of Sea Turtles. Smithsonian Institution Press, Washington, D.C.
Lewis, C.B. 1940. The Cayman Islands and marine turtles. Pp. 56-65. In: C. Grant (Editor), Herpetology of the Cayman Islands, Bulletin of the Institute of Jamaican Sciences Series no. 2. Institute of Jamaica, Kingston. Mack, D., N. Duplaix and S. Wells. 1982. Sea Turtles: Animals of Divisible Parts: International Trade in Sea Turtle Products. Pp. 545–563. In: K.A. Bjorndal (Editor), The Biology and Conservation of Sea Turtles. Smithsonian Institution Press, Washington, D.C.
Meylan, A.B. and M. Donnelly. 1999. Status justification for listing the hawksbill turtle (Eretmochelys imbricata) as Critically Endangered on the 1996 IUCN Red List of Threatened Animals. Chelonian Conservation and Biology 3(2):200-224. Milliken, T. and H. Tokunaga. 1987. The Japanese Sea Turtle Trade 1970-1986. A Special Report prepared by TRAFFIC (Japan). Center for Environmental Education, Washington, D.C. 171 pp. Parsons, J. 1962. The Green Turtle and Man. University of Florida Press, Gainesville. 121 pp. Rebel, T.P. 1974. Sea Turtles and the Turtle Industry of the West Indies, Florida, and the Gulf of Mexico. Revised Edition. University of Miami Press, Coral Gables. 250 pp.